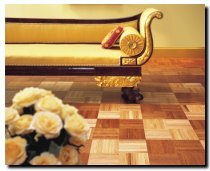 Hartco Flooring has been a major manufacturer of quality hardwood flooring since 1946. Hartco offers flooring for both residential and commercial markets in a broad range of products from solid to engineered construction in Strip, Plank, Parquet and Custom styles. 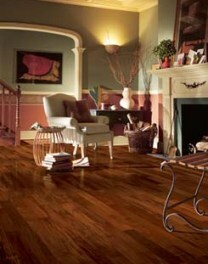 Hartco hardwood flooring can be installed in literally hundreds of different patterns, colors and designs. Valenza™ Exotic Collection is a colorful collection featuring exotic species as hardwood planks available in solid and engineered, all in 3 1/2" width. These floors are factory finished with an ultraviolet cured, no-wax, urethane finish and feature a Full Lifetime Structural Integrity Warranty and an extended 25-Year Finish Warranty.